Learn about us. Hear from others. See samples of our work. Make a decision. OUR STORY: Helping clients realize their career goals. My Name is Nanette Kirk. Hello! Thank you for considering us for your professional career services! I began writing resumes in 1998. Not professionally at the time, but as a necessity. I lost my job when the consumer products company I worked for was sold to a competitor. Fortunately, as a part of the severance package, I utilized the services of a professional outplacement company. The resume produced from skills learned quickly enabled me to secure several diverse opportunities. I was amazed at the results! I received multiple offers and began a career in distribution management for well-known retailers. 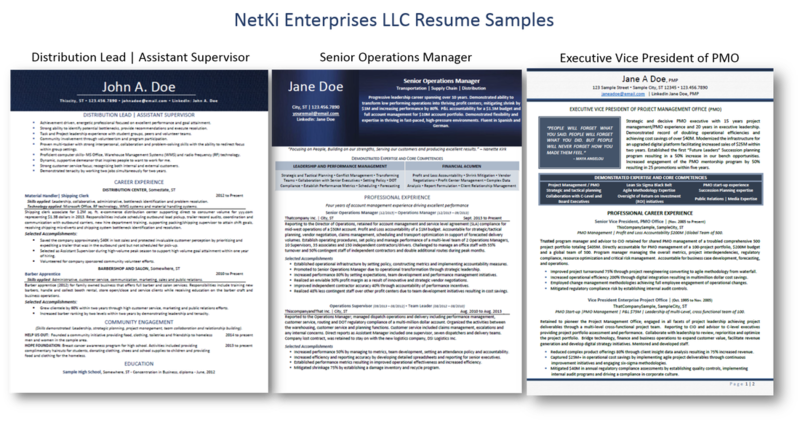 Inspired by my own results, I began writing resumes for family and friends who also realized positive results. Working with one of my first clients in 2014 after going full-time in business. It was an emergency meeting for a syndicated TV show producer position. We worked on her interview prep and post interview follow-up letter which made the difference. (She at first didn't think the letter was necessary). I was very excited for her when she got the job! Read her testimonial below. We care. We've structured our mission and service statements to remind us. We want your resume to be an honest and accurate reflection of you. We choose designs that match your personality and keeps your resume memorable for all of the right reasons. We perform deep research and choose content that communicates to the company "What's in it for me?" and highlights those skills that matches their position requirements. We have become so effective with this that most of our clients say "I can't believe that I actually did this!" when they first read their accomplishments. We have helped clients just like you from almost every industry. We deliver to our clients a targeted resume with intriguing, relevant content and diverse designs that stand out from other resumes. We transition the design across all products; cover letter, thank you/follow-up letter, LinkedIn profile or reference pages providing our clients with a consistent and seamless professional package. For privacy of our clients, identifying information has been changed or removed and replaced with non-identifiers. Not ready to get started yet? That's okay! Sign up to receive updates and our newsletter.